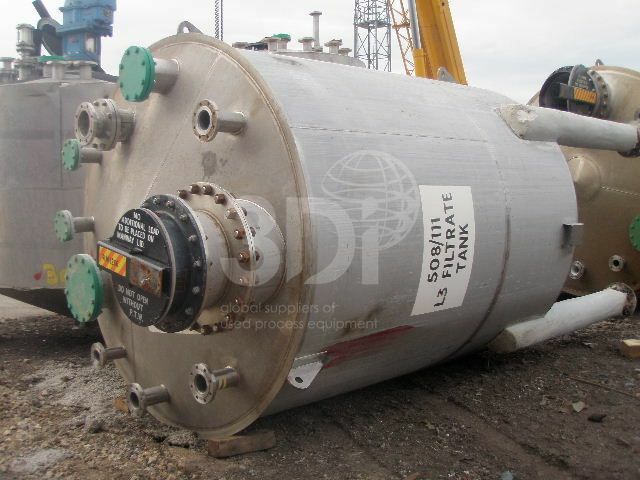 Used 17,000 Litre Stainless Steel Storage Tank, built by T.Bibby & Sons Ltd, 2006. Material of construction 316L Stainless Steel. Vessel thickness: 5mm. Orientation: vertical, cylindrical, coned top and bottom on legs. Dimensions: 2500mm dia, 3125mm on the straight, 689mm bottom cone. Connections: 200mm top inlet, 100mm bottom outlet, 600mm top manway. Design data: design pressure 0.06barg, design temperature: -10/60degC. 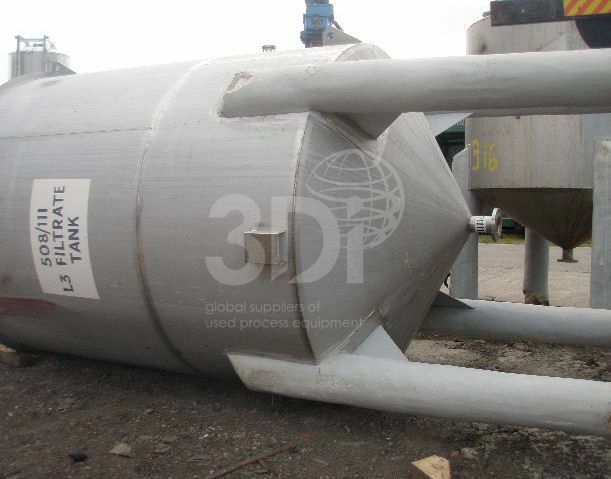 Working volume: 15,000 Litres. Previously used to store chemicals.